Poor IT processes may stand in the way of supply chain automation. 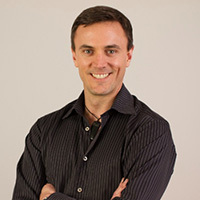 Nintex SVP, Ryan Duguid, outlines how tech can improve efficiency. Technology enables our modern-day supply chains to reach record-level outputs. Manufacturing is producing 47 percent more than it did 20 years ago. And it seems we’ll keep on that track, as one-third of all manufacturing supply chains will be automated by the end of 2020, according to IDC. But thanks to its reliance on technology to keep inventory always moving to its final destination, a manufacturing firm’s ability to innovate is only as strong as its IT team. When IT departments fall behind thanks to broken processes (think app troubleshooting, system maintenance, etc. ), manufacturing falls behind as well, causing ROI and competitive edge to suffer. If IT teams and their broken processes fail to keep up with this challenging pace of growth, supply chains everywhere will feel the effects. A recent report by Nintex found that technology troubleshooting is the top broken process in offices across the country, and 62 percent of employees think their company’s IT processes are flawed. The trouble doesn’t end there. IT department processes in the American office have become so dire that many employees are taking issues into their own hands. Nintex found that more than three-fourths of respondents have researched their IT issue online and 64 percent have asked a non-IT colleague for help. Even worse, nearly one-fifth have asked people outside the company for advice on their IT issues, potentially putting company data at risk. Further increasing the risk, 40 percent say they’ve used unsanctioned apps or devices to get around their IT issue and keep working. Employees pass the blame for these broken processes in multiple directions. Mid-level IT staff receive the brunt, with 73 percent of employees finding them culpable. However, employees recognize that accountability falls on IT leadership, with 43 percent of employees placing it on the IT director or CIO, and only 30 percent of employees putting it on IT staff. No matter who is responsible, a fix must be found so that supply chains can continue on their upward trajectory as consumers and businesses alike grow increasingly accustomed to shorter lead times on their orders. Compared to the average across all industries, manufacturing places a higher priority on business processes and operational efficiencies. In other words, broken IT processes are a nightmare for the manufacturing and supply chain industry. Ready to do something about it? A good place to start is to look for processes that are handled manually or via email communication, as these tend to quickly dissolve down into inconsistency and confusion. Automation systems are the antidote. Here are several realms of manufacturing and supply chain that could afford stronger efficiency through automation. Planning automation – Automating supply chain processes results in captured data that can predict the flow of work, allowing you to plan better. If a shipping operation has an unexpected two-week bump in business in the middle of July, your shipping needs could be 300 percent greater than on a normal day. When your processes are automated, the system can call identify the upcoming busy period to help you scale up staff in preparation. Compliance automation – Ensuring your supply chain complies with local, state and federal standards gets tougher when IT roadblocks hinder employee communication and productivity. Mobile workflows ease the process by allowing workers to capture statuses instantly by filling out forms on mobile devices. These forms are fed into a central system for easy access by anyone in the business, streamlining the communication and compliance process overall. Procurement automation – Automated workflows enable faster procurement cycles by automatically creating customer folders, managing access permissions, and notifying relevant team members and managers when new information is available. The struggle for access to countless documents is eliminated, as are communication woes and the endless ‘back-and-forth’ between seller and buyer. As supply chains become shorter and faster, manufacturing companies can’t let broken IT processes impede their progress. Supply chain automation is the answer to cut out the inefficiency and keep your timelines running as quick as possible.